… well, not really, but at least one of its icons may start to get more widely used. 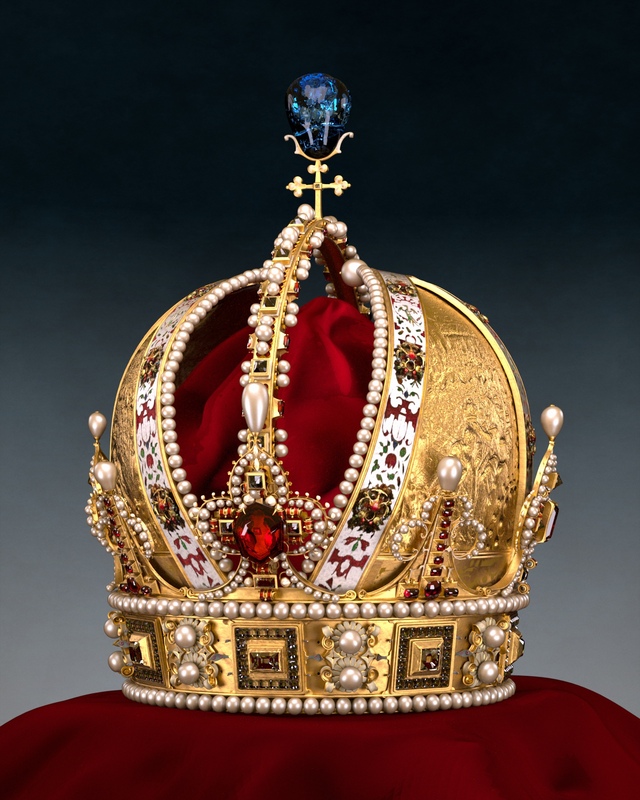 My model of the Austrian Imperial Crown was used in showcasing a new line of research on realtime raytracing at the Advanced Graphics Labs at Intel. As it turns out, the model seems quite good for testing these type of algorithms, and the model along with the source code will be available under an open license directly from intel. Well, what can I say. There is nothing like seeing your model all over the place and intel using it as demonstration for their new technology. Also, your other work in the showroom is really very good, I hope to be able to see more of it in the future. Wie nett, es gibt auch Einheimische die hier vorbeischauen. Congrats! It’s a great model. I have also started playing with it (in Houdini, rendering with Mantra using PBR) and I thought I’d just let you know that I have noticed that several objects have been mirrored when modeled (well, I’ve noticed with the pearls) which can play a little havoc with some shaders. Otherwise thank you for allowing your model to be used so freely! Good to know you have some use of the model. 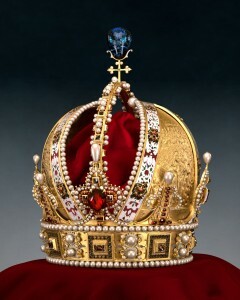 There are certainly mirrored elements in the crown, at least mirroring was used in the initial stages of modelling. I was not aware that this could cause problems. What exactly are the problems you are having with this ?